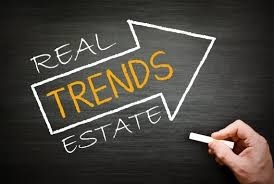 The California Association of Realtors, CAR, October 2018 released the 2018 Real Estate Update and 2019 Forecast. CAR estimates 3% growth in sales for 2019 and a 5% equity appreciation. Potentially there may be higher growth in the Temecula Valley located in the Southwest Region of Riverside County largely stimulated by the “Out-Migration” of families relocating to the Temecula Valley that have been “priced-out” of San Diego, Orange County and Los Angeles County. The CAR reports show 23% of California Sellers are moving to other states. Many sellers are relocating to other California Regions offering housing affordability, improved cost of living and a better quality of life. The CAR Reports refer to the acronym SHIFT, the Study of Housing: Insight, Forecast and Trends. CAR has published an annual real estate update and forecast since 1981 with amazing results and accuracy. Both CAR Reports can be found in the links listed below.